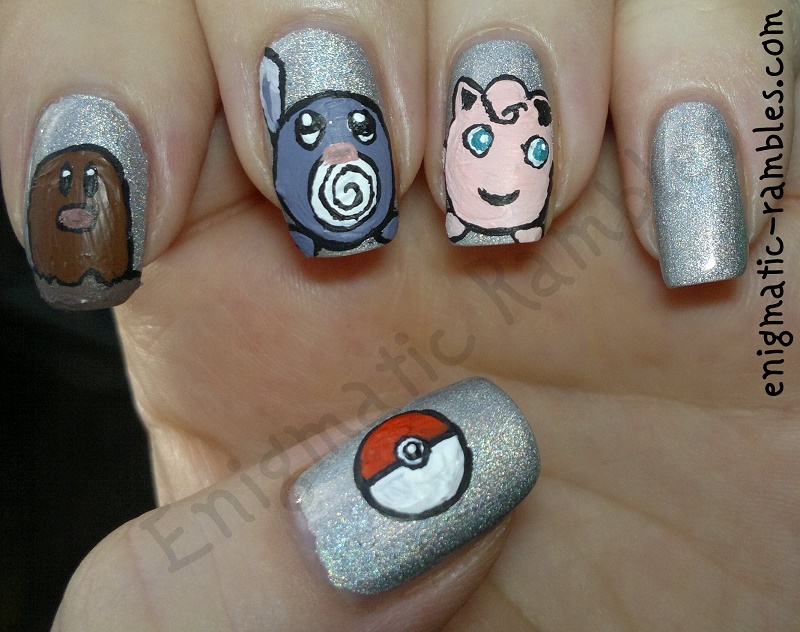 I originally did these nails as part of a review I did for some nail art stickers, but I wanted to share some close ups. I never have been in to Pokémon myself so had to go with the suggestions from a friend of which ones to paint as I have no idea beyond Pikachu! I used A England's Encore Margot as the base and everything else is freehanded acrylic paints. This is without the sticker and without topcoat, sometimes photographing polish / nail art is difficult with a very shiny topcoat. 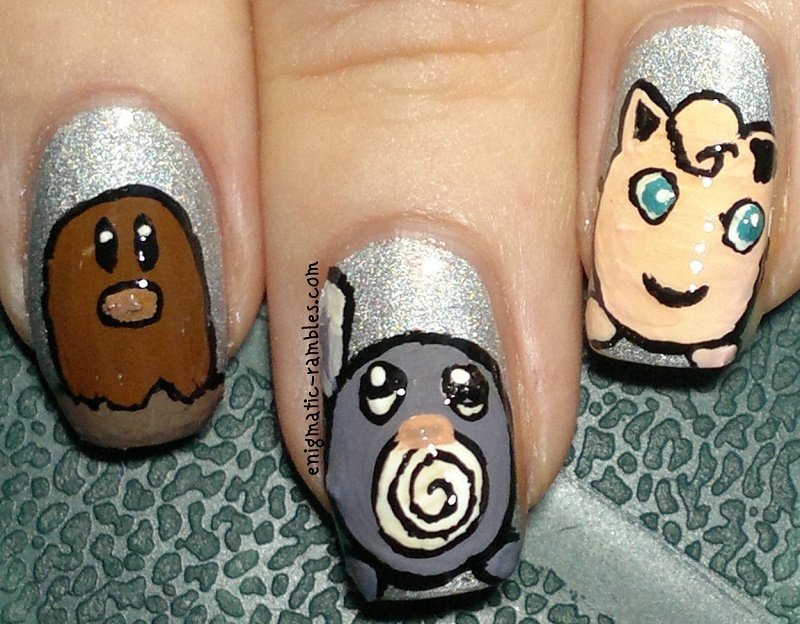 And finally a close up of Diglett, Poliwag and Jigglypuff. Hope they semi-resemble the actual characters! 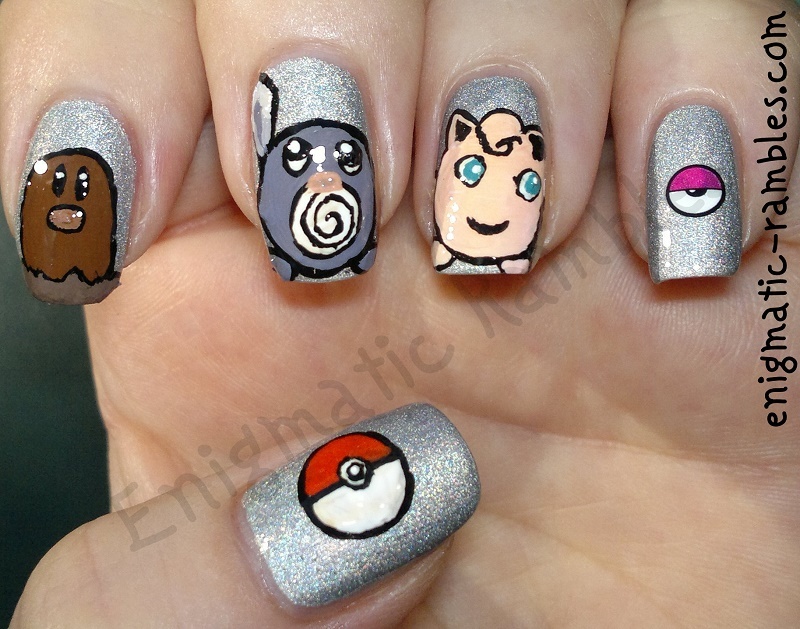 Awww Poliwag looks so cute!! I'd not heard of it before, but it is cute!